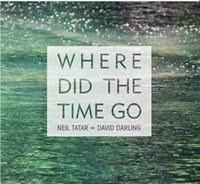 Neil Tatar plays guitar, piano, hand drums and percussion and cellist David Darling accompanies him on their recording Where Did The Time Go. Once I read Tatar’s biography and understood all of his talents it was easy to pay attention to everything happening in each track. In essence every note played from any instrument stands out as relevant when you can listen in such a manner. The duo complements each other beautifully on all nine tracks. Tatar is a diverse artisan that uses several years of experience to his advantage playing the guitar and other instruments with grace and strength while Darling provides his cello lines to make each piece a complete work of art. The music set me at ease when the first track “Journey” started and I noticed a definite distinct sound coming from Tatar’s guitar. I found it engaging and so pleasing that it made want more. “Where Did the Time Go” came across as a lament to life itself and the reality of how fleeting it can be. I felt very sad while listening but also recognized the inner beauty and reflection so obvious in the music presented. “Last Dance” is a slow burner with a sense of reflection and sadness but the beauty and elegance override those emotions as with the previous tracks. As the saying goes-beauty is in the eyes of the beholder. What I behold and translate while listening certainly would be different for someone else so it depends how it can relate to your own life before any particular emotion makes sense. Where Did The Time Go is beauty in motion and in the same instance brings the listener an entire range of memories and emotions. Only powerful music has the ability to engage an audience in such a way. 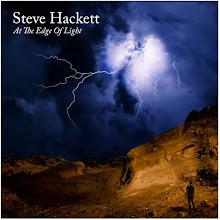 This is real gem and a must have acquisition for your instrumental library.